I'm still trying to work through my scraps. I know I've mentioned it before, but I am trying to get rid of all my scraps. Haha, sounds ambitious-- and it is! This is one of the fastest and easiest ways to work through strips of scraps. I made a blue one a couple years ago and like it so much I make a colorful one. (I explained my method in this post, or send me an email and I'll try to help). 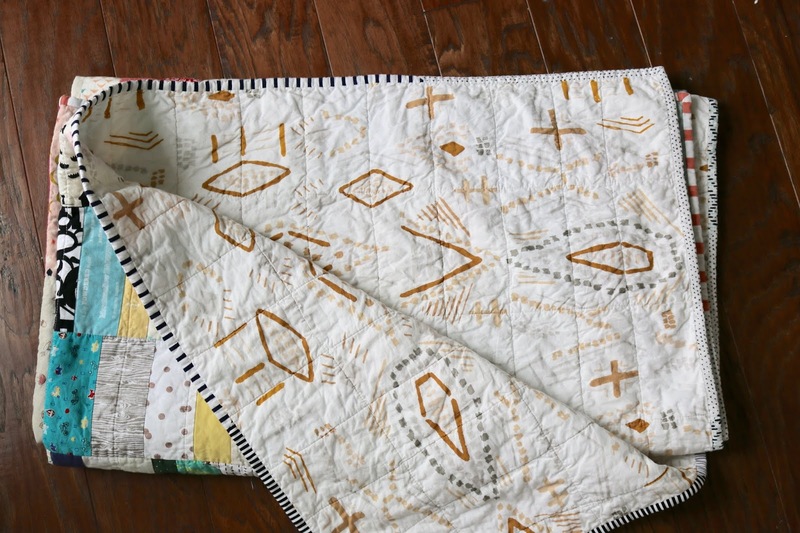 There's minimal quilting in this one. 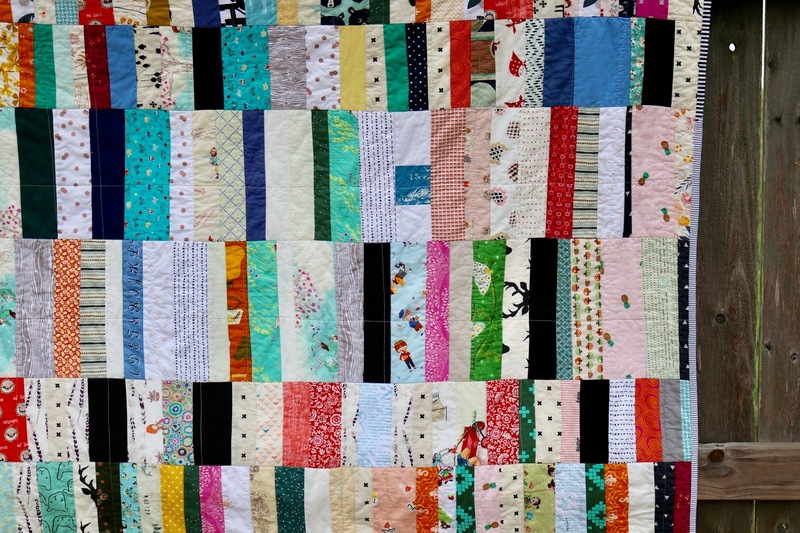 I sewed in the ditch along each row horizontally and then vertical lines about every 3 inches. I also added a few horizontal lines on the taller rows. Binding is scrappy...I used up my leftovers from other quilts. Love this idea for using up the scraps. 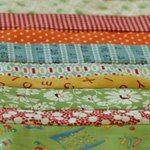 I think I have a bin of scraps that I cut into strips, thinking I would make a spiderweb quilt or something, and could add more as I went along. This looks way more approachable! 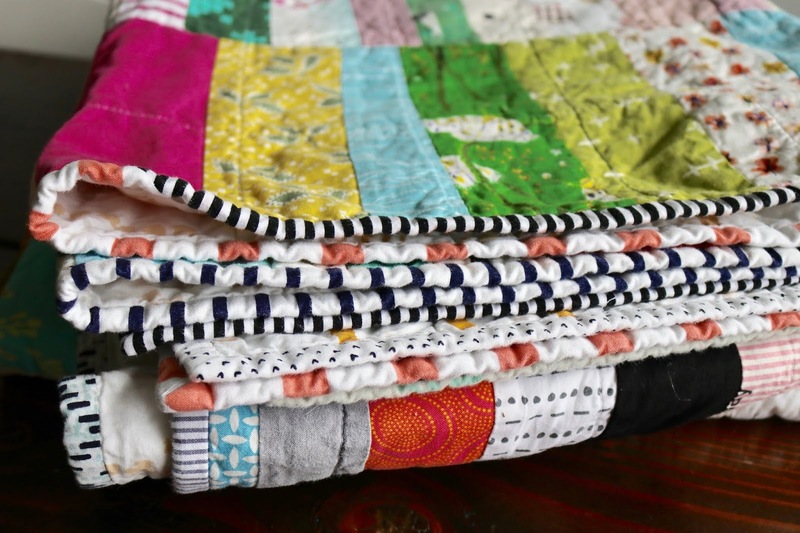 Great pairing of scrappy quilt/scrappy binding! I love your backing choice too. 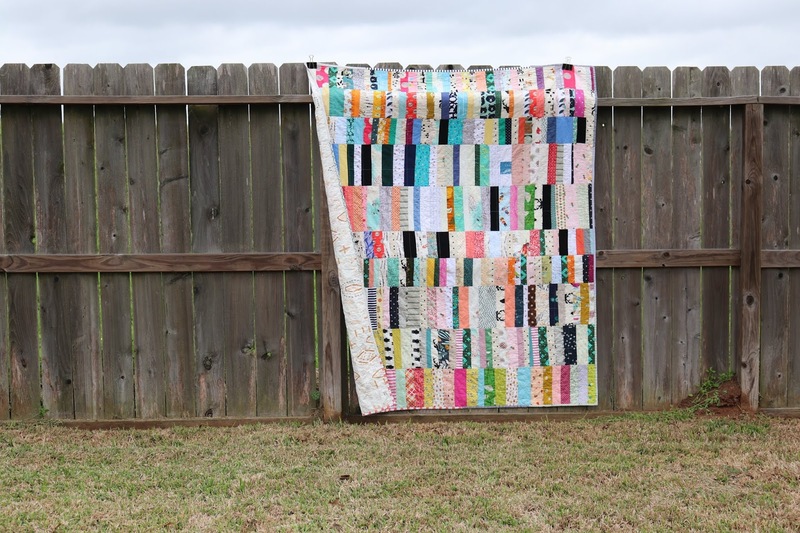 I need to do something like this so bad and use up my scraps...they always overwhelm me and then I just end up giving them away. 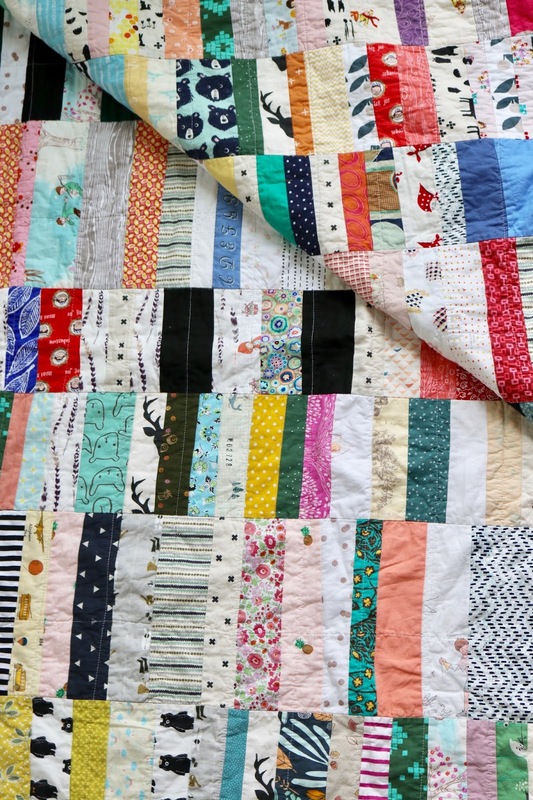 I love the thought of having them all in one quilt though! It's beautiful!! 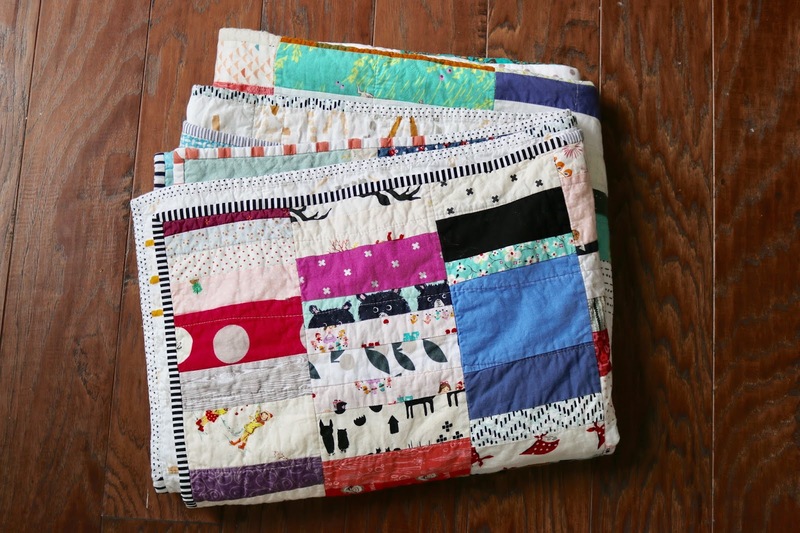 What a great idea to work thru your scraps!